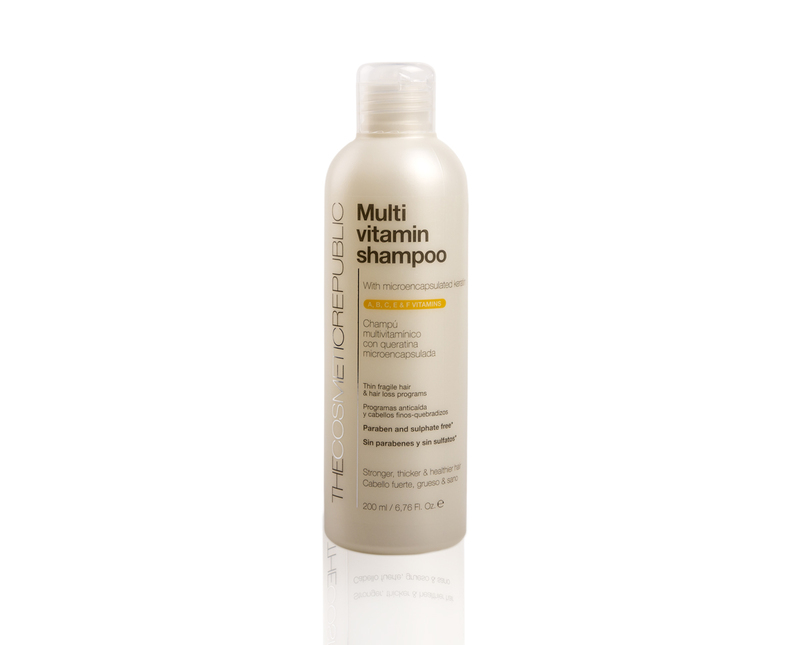 Daily Hair Care : Multi Vitamin Shampoo 200ml. Detox WrapOily Hair Cleansing Shampoo 200ml. This paraben and sulphate free surfactants Multivitamin shampoo with A, B, C, E & F vitamins and keratin microspheres has been specially designed for weak, thin hair and hair loss cases. Its formula provides shine, volume and strength to hair. It respects scalp’s natural balance while revitalizing hair stalks. A must-have for your every day beauty routine that will provide stronger, fuller and healthier looking hair. Cold press processed. Healthy looking hair in 1,2,3! It is about time you rediscover yourself, empowering you hair. Discover the fusion of microtechnology, cold pressed process and natural ingredients. A unique color safe blend that will make you hair look more healthy and vigorous. This gentle daily-use shampoo leaves poor weak hair, stronger, thicker and with a healthier look. Infused with vitamins for all hair types from normal to dry hair. Recommended by doctors from all over the world. For men & women. Color safe.